While we do specialize in auto glass services, we also provide full service auto repairs as well. Whether you need preventative maintenance, routine repairs, or even emergency services, feel free to contact us with any auto repair needs. 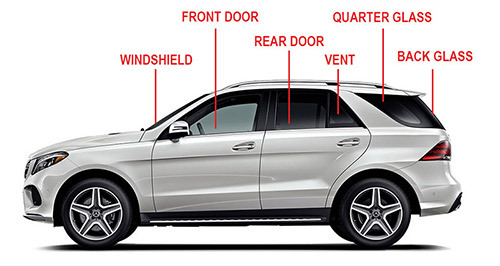 From oil changes to A/C Repairs and transmission work, we offer guaranteed high quality auto repair services at a fair price, and we not only guarantee our services, we guarantee you will get excellent customer service when you deal with Mega Auto Glass as well. We can certainly take care of all of your auto glass needs as well. Our customers mean the world to us, so we like to provide as much quality auto repair service as possible, so that all of your auto care needs can be handled in one place, at our shop. While we certainly provide a specialty service in regards to auto glass, when you are a Mega Auto Glass customer, we will always go the extra mile to satisfy all your automotive needs. At Mega Auto Glass our ASE Certified Master Technician will oversee any auto repairs you need, from maintenance to diagnostics. We have the skillset, knowledge and experience to handle even the toughest jobs. Our master technician can handle most automotive needs, but if we cannot handle any type of auto repair in-house, we will not only let you know, we’ll help find you the services you need. We always want our customers to get the best service, even if we can’t help. Our customers are our lifeline, and we understand how important your satisfaction is. We also understand how important your car is in the context of your daily life. Your car takes you to work, takes your kids to school, and even brings home the groceries that feed your family. We KNOW how important your automobile is to you, and we want you to know that your automotive repair needs are just that important to us. That is why we have so many happy return customers, and why our reputation for our auto repair services is growing as fast as our reputation as Rockville Auto Glass, Bethesda Auto Glass and Chevy Chase Auto Glass specialists. We care about meeting our clients’ needs so much, we even provide a free shuttle service so that they can go about their days while we fix their cars, and we will gladly provide that service to you. Instead of wasting hours waiting for your car, our shuttle service will take you to a local metro or one of many local shopping centers. We don’t want your automotive repair needs to interfere with your daily life; we just want to make sure that you have a smooth, safe ride.